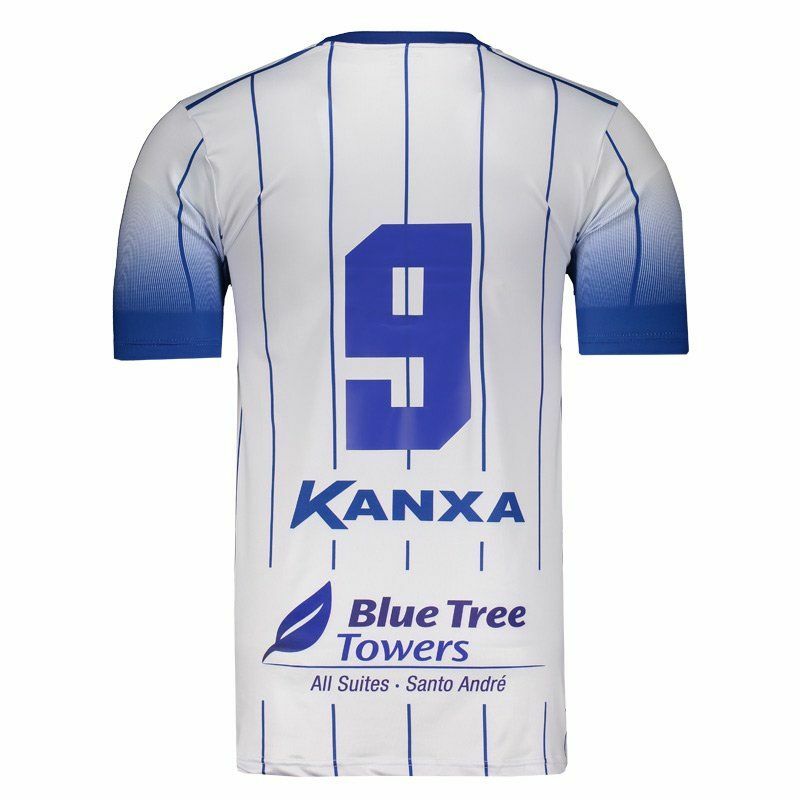 Kanxa presents the Santo André starter shirt for 2018, a great option for fans to use in games and day to day. The piece is made of polyester and elastane and features DRY SOFT Kx Elastic technology, a technological fabric. More info. 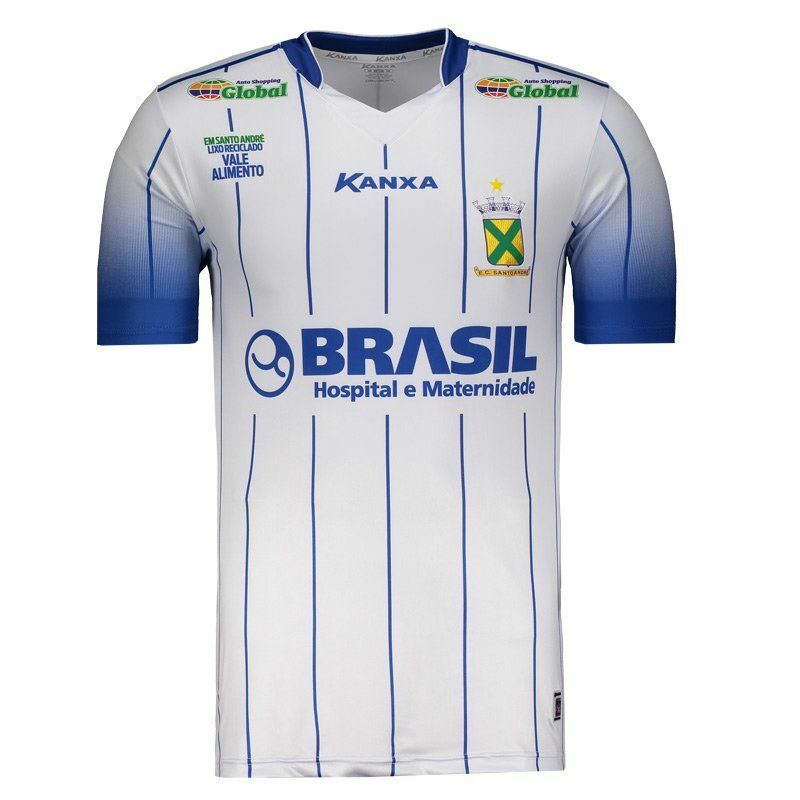 Kanxa presents the Santo André home shirt for 2018, a great option for fans to use in games and day to day. The piece is made of polyester and elastane and features DRY SOFT Kx Elastic technology, a technological fabric that provides softness to the touch and fast transport of sweat to the outer layer of the product, thus allowing stability of body temperature during sports. This fabric has high flexibility for greater freedom of movement. 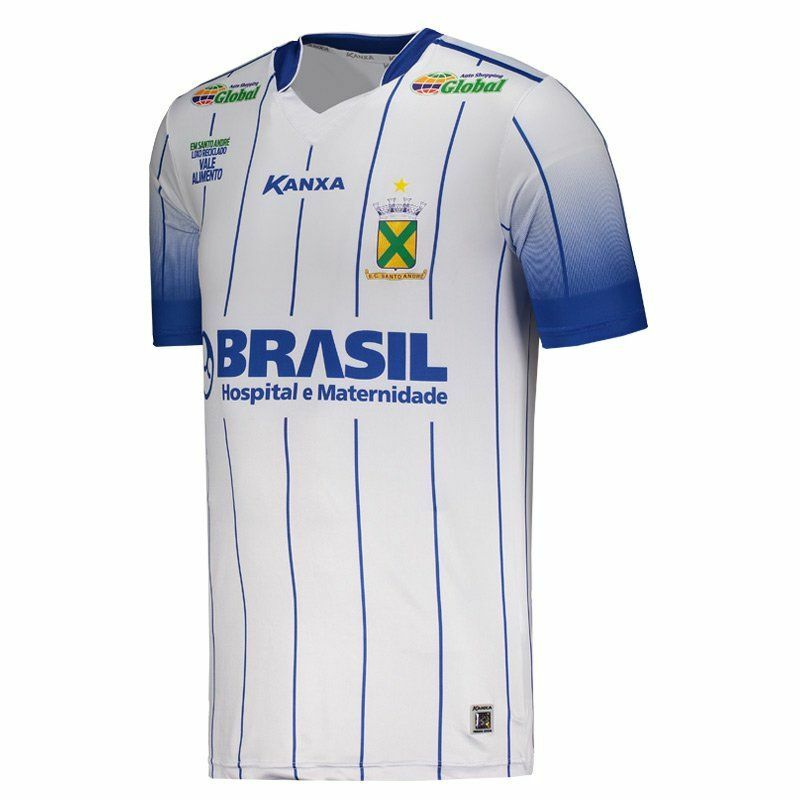 Its design is predominantly white with thin vertical stripes in blue and a gradient print on the sleeves. 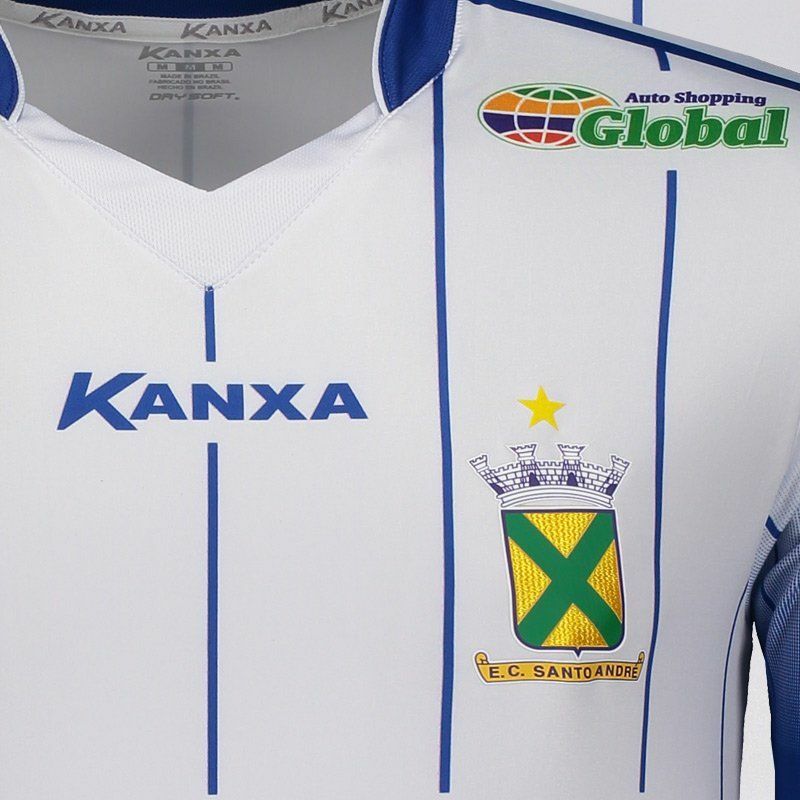 There is also the club badge on vinyl on the chest, as well as the brand logo and sponsors stamped. In addition, the collar is V with differentiated cut and, finally, the robe brings assorted number on the back and offers name customization.